An unsung family group from Los Angeles, the McCrary's sang gospel prior to signing with Portrait Records in 1978 for four singles and two albums. 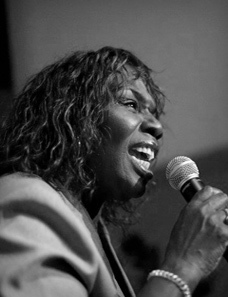 Linda, Alfred, Sam, and Charity McCrary sang on the Portrait recordings, while another sibling, Howard, had sung with them on a 1972 gospel release, "Sunshine Day." Their most popular singles were "Lost in Loving You," "Love on a Summer Night," and "You" (the latter with Stevie Wonder on harmonica), while their career highlights include opening for the Jacksons and appearing on Soul Train. They sang a fresh, hip, urban style of gospel that was years before its time; they were doing in the early '70s what only became popular decades later. Linda McCrary has worked on sessions with countless artists including: Stevie Wonder, Emerson, Lake & Palmer, Andrae Crouch, Tuck & Patti, Phil Driscoll, Keith Green, Tommy Walker, Angela Bofill, Juice Newton, The Scorpions, Crystal Lewis, and Michael Jackson to name a few. Check out Linda performing "Emmanuel" with Eric Persing on YouTube.